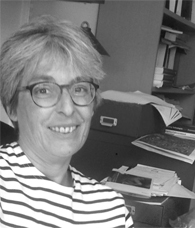 Every day this week, Professor Everson writes for Birkbeck Comments, offering up her thoughts, opinions, and analysis on the EU referendum. Read part 1, part 2, part 3 and part 4 of her blog. European borders: a paradoxical sting in the tail? A couple of weeks ago, as we were stuck in Rome’s eternal traffic jam, an Italian Professor friend of mine told me a story I recognised, and not without a sliver of pain. In the early 1970s, his father, also an academic, took a sabbatical year at the University of London. Subject to his parents’ irrepressibly optimistic openness to the world, my friend found himself at one of the (little-lamented) Inner London Educational Authority’s finest primary school establishments in Richmond. He did so, however, without any local cultural knowledge, or indeed, being able to speak a word of English. The well-meaning school nonetheless stepped up to the European challenge and provided my friend with mentor, a little girl of mixed Italian-British heritage who might translate. The one problem in this arrangement was the fact that up until this time the little girl had done all in her power to hide her Italian heritage from her playmates, keeping her mother away from the school gates and denying all icons of culture that were not 100% British in origin. Her mortification was absolute. My friend’s embarrassment was total. Being of much the same age and having grown up with a German mother in Chingford, I immediately recognised the pathology, though for some perverse reason (having a French name perhaps) I always followed a reverse psychology to dealing with the inevitable issues by flaunting my Germanness. No one who didn’t grow up in those grey and xenophobic days can truly understand the frustrations of living within the imagination-stagnation of a culturally-enclosed space, and worse still of a cultural space that seemed far past its sell-by date: Sunday afternoons of interminable repeats of British war films often found me pleading with the Luftwaffe Kommandant on the television not to give Douglas Baader his legs back. At a personal level, and even though I am sometimes shocked by lawlessness of the Italian-Polish mushroom wars now playing out in Epping Forest, I am grateful beyond measure that Europe is at home in London. Yet, by the same tokens of location and age, I am also a middle-aged Londoner and wholly aware that the xenophobia of the 1970s and 1980s was not, or was not even primarily reserved for Europeans. As successive waves of immigrants from the Caribbean, from East Africa, from the Turkish communities of Cyprus, from Vietnam and from Latin America joined my world, the ineptitude of a UK television culture which persisted in a time warp that never allowed Germans to shed their Swastikas, paled into insignificance in the face of the ready offensiveness of British society towards what was perceived as the rest of the world. Those days are not yet over, but London is at least now more globally inclusive that it has ever been. So what of Europe, with its by now painfully apparent, increasingly rigidly-enforced and often inhumane territorial borders? Is Europe now defining itself as a stagnant, culturally-enclosed space? This question is particularly relevant for a younger generation, with a heightened global outlook that makes little or any distinction between real or virtual friends in Sydney, Warsaw or Mombasa, or between market and cultural goods created in Beijing, Budapest or Rio de Janeiro. Is a concept of Europe a sustainable or even a just one in a globalising world? Within a social theory of European integration that identifies the only possible measure of a shared European culture as being that of the philosophical universalism which originated within the European Enlightenment, the question leads to the inevitably paradoxical conclusion that Europe can only ever be defined as Europe when it has dissolved itself in the success of its own universalising mission. Equally, from the altogether more pragmatic perspective of global economic development – or of the righting of the enduring structural wrongs of historically-engendered economic inequalities – is an ideational programme of European economic ordering a retrograde step and an act of global injustice? In this latter regard, I cannot overcome paradox, and can only answer within the realms of my own personal experience and outlook. For me, Europe is only an ideal and not a place. I do not belong to the Habermasian circle of democratic federalists. At the same time, I cannot but feel that, as in the case of EU Enlargement, a global market justice that is founded in the precept of competitive labour advantage, or the notion that I will correct my own disadvantaged position by working for less than you do, is not justice at all, but a recipe for the abasement of the whole of the human condition. If, in its tentative and messy mastery of the innate tensions between a human desire for economic opportunity and a human want for cultural security, the European Union manages to provide at least a hint of a new model for the globalised economy; if it reminds the world that markets must exist within rather than take dominance over society, it will have done more than we might ever have expected of it. Every day this week, Professor Everson writes for Birkbeck Comments, offering up her thoughts, opinions, and analysis on the EU referendum. Read part 1, part 2 and part 3 of her blog. My vote for Europe is not a vote for its current malaise of totalising economic rationalism, for its political, legal and intellectual abdication, or for its heedlessness for the dispossessed of Athens or Lisbon. It is a vote for the European Union qua its status as institution; an institution unique within a global mass of bilateral trade agreements that is bestridden, at the point of its judicial application, by the disembedded economic thinking of a culturally-denuded World Trade Organisation. However imperfectly, the EU, qua institution, is open to the voices of cultural and social self-determination and also to the voices of economic value that are not simply disregarded, but also traduced within dominant economic rationality. Hobbes is very long dead: In their rush to resurrect the dusty fairy tale of national sovereignty, Brexit campaigners, would have us abdicate at the global level, all potential for the re-establishment of political and social self-determination over the economy. We, by contrast, should take our fight for the soul of economic liberalism to Europe. Norman Tebbit tells an interesting tale of his own disenchantment with the European project. As an airline pilot, working together with colleagues from other European nations in order to ensure airline safety, he was seized by the commonality of his lived experience with the European group, excited and liberated by the ease of communication between pilot-experts who sought to solve common technical problems. Only later did he worry that this technocratic group, in all of its shared enthusiasm, had become divorced from the masses still locked in more generalist national cultural discourse. To this I answer, yes, you are right ‘Norman’ (I’m from Chingford, I can), but only insofar as you are utterly wrong. In academic jargon, ‘epistemic communities’ of shared expertise are major culprits within democracy-denuding technocratisation processes, as well as within the near collapse of the global financial system: why did no one see it coming? Yet, cross-European meetings of like minds can also produce visionary rationalities; and I count myself blessed to be able to sometimes join the first generations of Eurocrats in toasts to their retirements. But, also in the medium of day-to-day, Ryanair-facilitated movement around Europe, in the Europeanisation of media discourse (German television transmitted the Farage-Cameron debate live and in full), in the Europeanisation of consumer, environmentalist, and economic pressure groups, the far broader conversation amongst European peoples can be heard, and is similarly exciting for its commonalities, rather than made discordant by its differences. What do the peoples of Europe want? They want what we all want: economic and political autonomy, welfare and an effective means of their realisation. In a globalised age that is as unsettling as it is exciting, people want an order of opportunity and of security; and therein lies the common ‘European’ cause for those of the left and of the right. Here, we can identify the joint project for those with tradition and for those who wish to break free from their own cultural confines, the shared programme for those who wish to make use of their new opportunities and for those who prefer their own four stone walls. Yet, this want will never be satisfied, this order will never be created, where we continue to sacrifice ourselves to the totalising and socially-disembedding powers of a dominant economic rationality that is as socially-amoral as it is delusional. By contrast, our first sacrificial victim in the effort to save economic liberalism within Europe, or to re-establish civilised EU order, must be the notion of economic efficiency, the founding myth of bastardised capitalism. Who on the streets of Athens believes that the unbearable pain of insecurity, of myriad ruined, even curtailed lives can in some way be made good in the maybe never-to-be fulfilled promise of future riches? Also, and perhaps more significantly so, what price the economic opportunities of the farmer or the supplier forced out of business by the price-cutting imperatives of ‘perfectly-efficient’ competition between ever more fast concentrations of economic power? The second sacrifice follows from the first, and for the foreseeable future at least must be given in a commitment to less rather than more Europe. Certainly, in European economic constitutionalist mode we can create circumscribed rights of cross-border economic opportunity and can similarly seek to reverse the sad surrender of a once economically-decentralising European competition policy to the efficiency demands of the globally-dominant Chicago School of economics. Yet, by the same ordered token, where the primary locus of social, cultural and emotional attachment remains local, regional or national we must curtail European regulatory impulses, however attractive they might occasionally appear. The complex of ordo-liberal, (Christian) corporatist and social-democratic interests that still, to a certain extent, defines life in Bochum would go down like a lead balloon in Birmingham. Vice versa: the National Health Service, the one major survivor of Britain’s post-war universalist welfare tradition is still met with as much incomprehension in continental Europe as it is in the United States. It is certainly possible that, with time, Europe will find its own way to cultural unity and will embed a European economy within a European society. In the meantime, however, in the manner of European federalism, this is all just a very pretty dream. The remnants of our national economic traditions left to us are perhaps sometimes irritatingly quaint, but they are still the greatest expression of ‘independent state action in a framework of respect for the economic and political autonomy of citizens,’ and we must all defend them determinedly within the institutions of the European Union, within its law, within its Parliament and within its source of executive competence (the European Council). Every day this week, Professor Everson writes for Birkbeck Comments, offering up her thoughts, opinions, and analysis on the EU referendum. Read part 1 and part 2 of her blog. The crisis in economic liberalism: A common ground for the fight? To confirm the worst suspicions of Eurosceptics, I once met Gisella Stewart, acceptable face of the Brexit campaign, on a bit of junket in Vienna. Maybe I did fly Ryanair (into Bratislava), but I admit that I was also a touch squiffy on a sparking little Zweigelt when, in the hotel lobby, she voiced to me her concerns about the democratic futures of the Union. It was the time of the European Convention and ‘Gisella’ (if I may) was a UK parliamentary delegate to conferences preparing for the birth and unveiling of a shiny Constitution for the Peoples of Europe. Being then as now of a cynical frame of mind I was more relieved than upset by the eventual failure of the European Constitution and the subsequently functionalist approach taken by the European Commission and the member states in the redrafting of the constitutional draft as the Lisbon Treaty. On the one hand, the sight of past leaders of France and Italy, Valerie Giscard D’Estaing and Guliano Amato (betimes in their battle bus) suborning the peoples of Europe to join them in a glorious democratic future, induced in me only a vaguely Brechtian feeling of alienation. On the other, in my travels around Europe, the only committed federalists I have ever met have been members of the Federalist party (go figure), and some (but definitely not all) EU employees. In Puglia, Carla looks to the Regione when her vines fail, in Manchester, Martha collects plates of royal weddings, in North Germany, Christian rejoices when Werder Bremen avoids relegation. The daily experience of the vast majority of people in Europe is one of political, cultural and emotional attachment to the local, regional or national level. Although the visions of a democratically-federal Europe proposed, amongst others by great minds such as Jürgen Habermas, offer an obvious and immediate solution to problems of democratic deficit within Europe, the precipitate federalisation of the prisoner’s dilemma would only de-legitimate itself. Bismarck and Garibaldi are long dead: today, the only sustainable European federalisation would be one that felt in the soul as strongly as it is born in conviction. Nevertheless, Gisella Stewart now makes a telling point. For the left, or so she argues, the European Union is a lost cause. The majority of European governments are formed by right wing or Christian Democratic parties, the European Parliament voted to be led by Claude Juncker, not by Martin Schultz. Fazit: the left can never defeat the dominant economic rationality of the right within the Union. Now, this is all perhaps true, but vitally so, only insofar as the dominant economic rationality that now governs the EU, as it does the globe, is a natural appendage to the right. And here, returning slowly to our much-maligned German ordo-liberals, we might state that all is not as it seems, or that Gisella Stewart is wrong to dismiss the potential for revolution within EU institutions. To the contrary: She is wrong because she has yet to understand the depth of a current crisis that is not simply a crisis of capitalism, but is rather a crisis that challenges the entire political-social edifice of economic liberalism. Seen in this light, the left might yet have common cause with the right within the European Union. In the years since financial crisis, I have found myself with some strange debating bedfellows; not just the usual cast of well-meaning Germans and culturally-exhausted Italians, but rather also chairs of global insurance companies, heads of compliance within multi-national banking corporations, Christian Democrats of many national hues, community organisers, small-scale entrepreneurs and anxiously-overburdened technocrats. Our shared ground, however, has been a desire to consign the rhetorical usage of the catch-all-hate-term ‘neo-liberalism’, to the dustbin: blindly hating capitalism, or those facets of capitalism we feel are bad does little to extricate us from economic malaise. Contemporary crisis has its roots in very many distinct movements, not just in unbridled and unprincipled rent-seeking on the part of private actors, but also – in a term coined by the political scientist, Colin Crouch – within a ‘privatised Keynsianism’ promoted by Governments of the left and of the right across the globe, which is predicated on substitution of a putatively endless supply of self-generating private capital for the fiscally-engendered revenues of the now economically-castrated nation state; a process which still continues, albeit now subject to Central Bank oversight of private money creation within a new, but still very vaguely-defined, technocratic function of macro-prudential supervision. Neo-liberalism, when used to denote a rampant and uncontrolled state of market nature, first misses the immediate point that the systemic failure of capitalism is not only being overseen, but is also being promoted, within an exponential growth of regulatory oversight that is dedicated to the service of the chimera of efficiently-perfected competition. Secondly, however, and far more importantly it also misplaces the fatal underlying alienation of all of our dominant economic rationalities from our political and social mores. This is all so very far from a first incarnation of the term neo-liberalism in 1930s Paris as a moral response to the communist and fascist challenge then being made not simply to free markets, but also to the liberal framework of social constitution within which classical economic liberalism had always suspended them. It is also light years away from a first and enduring clarification of this defensive liberalism in the Berlin of 1938. It is a world away from the rebirth of a cornered but still battling economic liberalism by the (anti-) heroes of German ordo-liberalism who sought to secure an ordered, economic constitutionalism within the nation’s highest laws. It is a travesty of the work of academics, steeped in Lutheran tradition, such as, the economists Alexander Rüstow and Walter Eucken, the latter of whom, also bravely resisted Martin Heidegger’s determined attempts to Nazify the University of Heidelberg, as well as the lawyer, Franz Böhm. For clarity’s sake, I am of the left, and consequently cannot but disagree with vast tracts of ordo-liberal writing. Reading this work often sends me screaming into the garden. Nonetheless, it is not the individual precepts of ordo-liberalism that are at issue here, but rather its idealised view of the economy within society, a model more recently enunciated by one last living link with the beginnings of the movement, the Hamburg Law Professor, Ernst-Joachim-Mestmäcker. In his very final lectures at the Collège de France, Michèl Foucault distinguished ordo-liberal thinkers from what he termed ‘anarcho-liberals’ (read Milton Friedman). Ordo-liberals, so he argued, had an abiding fear of social forces and hence sought to suppress all revolution and reaction by means of their pre-emption within a constraining narrative of constitutionalised freedom. And, indeed, for a radical or collectivist left, this distinction must inevitably mutate into a critique of the forces of conservatism with a small ‘c’ which would similarly deny socialist governments the full use of the political potency of the economic realm. Yet, today, in the face of socially- and politically-alienating economic rationalities that have simply forgotten, or choose to ignore the fact that the market exists within society, the painful irony of the left enjoining in a battle to overcome the crisis within economic liberalism is perhaps ameliorated. In its ordo-liberal form, the moral language of economic liberalism is one that we can recognise and engage with. Far more importantly, it is a moral language of political self-restraint which has proven itself accommodating to the demands of counter-posing forces of social tradition and of the left. The success and stability of Germany’s post war economy – and social settlement – was not the work of ordo-liberals alone, but rather the graft of ordo-liberals who fought with but similarly adapted themselves to other world views. The reforming economic zeal of Ludwig Erhard was open to its tempering within the traditional politics of (Catholic) corporatism pursued by Germany’s first post-war Chancellor, Konrad Adenauer. In turn, the forces of social democracy, embodied by Willi Brandt and Helmut Schmidt, also shaped a now sadly-unravelling composite variety of German capitalism – a sometimes frustrating, but always democratic, culturally-rooted and socially-embedded capitalism.